Mom, the Intern: Charity Auction for Stacy Lewis -- AUCTIONS CLOSED! Charity Auction for Stacy Lewis -- AUCTIONS CLOSED! Last Friday, I told you about my friend Stacy. I met Stacy on an Internet forum way back in 2007 -- at the time, she was living in Georgia and I was in Utah. A handful of kids and a few moves later, we still communicate regularly through a private message board with about 15 other Internet friends we call the Pirate Girls. Stacy is an astounding woman. She was a sheriff’s deputy for 8 years and taught drug prevention to the youth in public schools. 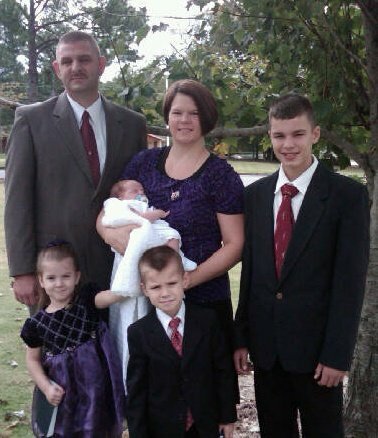 Above all else, Stacy is a dedicated wife and mother of four beautiful children, ages 2 – 14, and one angel baby who was born still in October 2008. She is a strong woman and a fighter. Almost six months ago, Stacy was diagnosed with an extremely rare cancer called sarcoma. She has a large and painful tumor blocking her kidney and pressing on her main aorta, making necessary surgery nearly impossible. Sarcomas do not usually respond to chemotherapy and radiation, but since Stacy’s situation is so precarious, her doctors are treating it with extremely intense chemotherapy and radiation in an attempt to shrink it before attempting surgery. 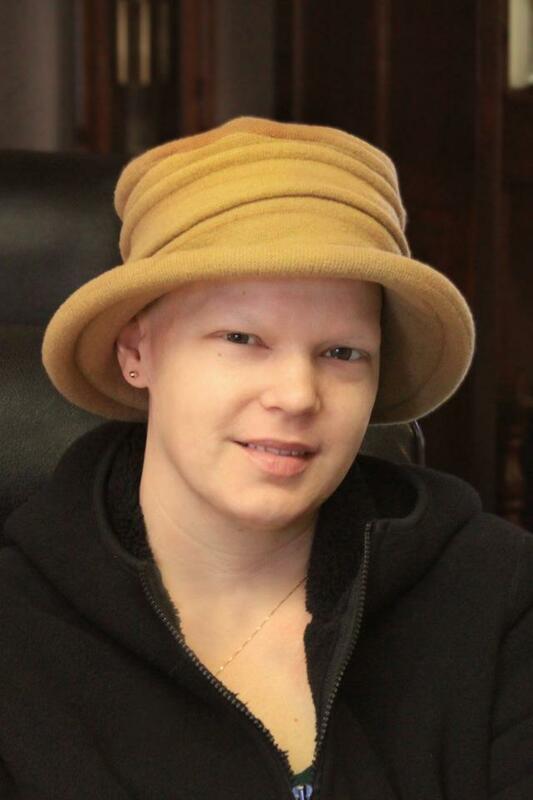 And because the cancer is so rare, Stacy has to travel 2 1/2 hours to receive treatments. 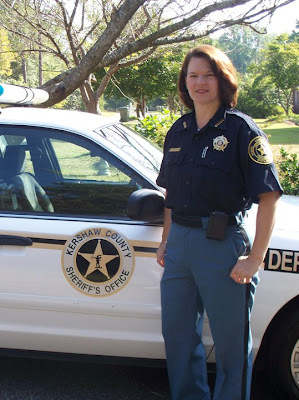 To top it all off, Stacy’s husband, also a deputy, was let go from his job just weeks after Stacy’s cancer was diagnosed. Since her treatment began, Stacy has suffered multiple close calls due to infection. She is away from her kids a lot and she misses them deeply. Our little group has been through a lot in four years -- several miscarriages and still births, family deaths, loss of employment, divorce and struggles with infertility. But one thing we can always count on is the other Pirate Girls' support through our tough times. Stacy has always been a listening ear and a shoulder to cry on many times for others as well as myself. She is giving, insightful and kind. So when I found out Stacy was in need, I wanted more than anything to help. It came to me as clear as day that I should do an auction on this blog to raise funds for Stacy and her family. One thing about blogging is it instantly connects you to hundreds of talented and resourceful people all over the globe. Many of my blog friends, lots whom I have never met in person, have generously contributed to this auction. I have been amazed at the response. To anyone who says all hope is lost for the world, I say no it's not! Just look at the outpouring of donations I have received for this cause! Below, you will see a list containing each item/package up for bid. Click on the link(s) to the item(s) you are interested in. At the end of each auction post, you will see the rules of the auction: item value, starting bid, and minimum bid amount. There is no cap on how high the bids can go. If you wish to bid on an item, simply leave a comment with your bid amount, plus your e-mail address if it is not linked to your Blogger profile. Please only leave a comment if you intend to bid on that particular item. Bidding for this auction will end on December 11th at 11:59 p.m. Arizona (Mountain Standard) time. At that time, I will be contacting the winners via e-mail to procure your Paypal information so I can first collect payment on behalf of Stacy. ALL PAYMENTS WILL ME MADE TO ME VIA PAYPAL. Once I have received payment, I will immediately transfer it to Stacy via PayPal. Then, I will send each winner the contact information for the donor of the prize they have won. I hope that we can raise a good chunk of money to send Stacy's way just in time for Christmas. Speaking of Christmas, a lot of these items would make fabulous gifts for family and friends, don't forget! Your generosity and support is appreciated. Let's give Stacy and her clan something to celebrate! I'd like to bid on a haircut from Kate. $40. Let me know what else I need to do. This was such a great idea. Hope it helps! !